Having combination hair (oily at the roots and dry at the ends), I need to wash my hair everyday because my roots go insanely oily. I've been using Batiste Dry Shampoo for about 7 years now because it lets me get away with not washing my hair for a good day or two. Not too long ago, my tropical can ran out, so I decided to test out another dry shampoo from another brand. The two dry shampoos that I trialled were TIGI Bed Head Oh Beehive Matte Dry Shampoo and TIGI Catwalk Transforming Dry Shampoo. Being such a good brand and all, I was quite shocked that they didn't work on my hair. However, I do know a few people that enjoy using their dry shampoos - especially the Oh Beehive one. For me, I just find their formula too weak as my scalp gets super oily too quickly *sigh*. 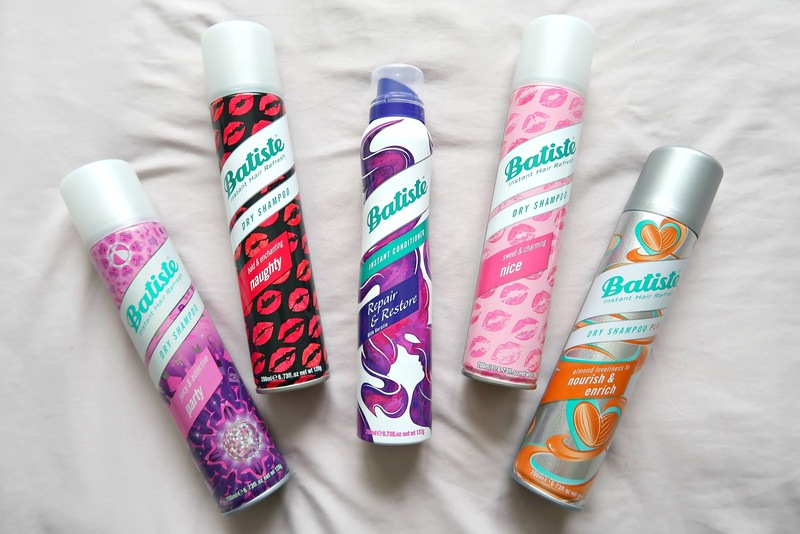 After realising that Batiste is my only saviour, I spent the majority of my lunch break in Boots because I wanted to take advantage of their 3 for 2 offer. The 3 for 2 offer is still happening in Boots, so don't miss the chance to stock up! What's your favourite scent of them all?